Parkinson's disease is a chronic, progressive, and medically manageable disease, whose symptoms slowly get worse as time goes by. It can damage or even kill nerve cells within the part of the brain that makes dopamine, the key element in behavior, memory, body functions and cognitive movements, as well as good feelings such as reward and general happiness. So the depleting of dopamine affects our overall ability. The symptoms of Parkinson's disease vary, depending on how far the disease has progressed. There are early warning signs that a person may have Parkinson’s disease. If Parkinson's disease is suspected, the next thing to do is to consult a health care professional. The earlier a person is diagnosed with this disease, the earlier they can begin to start treatments which can possibly slow the progression of the disease. There are several early signs of Parkinson's disease, though they begin slowly and may not be noticed all the time. Having only one sign could mean nothing. However, if you have more than one symptom, you should contact the health care professional to be evaluated for Parkinson’s disease. Here are some early signs of Parkinson's disease. A slight, uncontrollable shaking in one area of your body. Although shaking is generally found in a finger, it could also be noticed in other areas such as legs or lip. Handwriting getting noticeably smaller, writing of smaller letters or words seeming more crowded together. You may notice that you cannot smell the scents you are used to smelling. These are usually very noticeable scents such as black licorice or apple pie. Sudden movements while sleeping. You may kick in your sleep, move around a lot, and even fall off the bed. Body stiffness. It may be really hard to walk and do simple tasks. You may notice that parts of your body just don’t move the way they used to. Difficulty having bowel movements. This will happen without any logical reasoning such as dehydration or eating binding foods. A noticeable change in voice, especially noticed by others. Your voice may sound soft or hoarse to others when you believe you are talking in a normal voice. A mad or depressed look in your face, even when you are not experiencing these emotions. Light-headedness with normal sudden movement. You may get dizzyor even faint, when standing from a sitting position or sitting up from a lying position. Slouching more than normal. You may not stand as straight as you normally would or you may have a slight lean to your posture. Again, having only one of these potential early signs of Parkinson’s disease could mean you are possibly suffering from some other medical issue; such as a cold or flu, or even low blood pressure. You may still want to seek medical advice. Voluntary movements will begin to slow even more. Attempting to do simple tasks such as getting out of bed and putting socks on may seem to take much longer. Facial expressions will continue to decrease. Body posture and stiffness, especially in the lower back area, continue to worsen. Balance will continue to worsen with walking and standing becoming increasingly more difficult. Standing from a sitting position will need great efforts. Orthostatic hypotension (fainting and dizziness) will continue to worsen, especially when attempting to move from one position to another. Although continuous movement between your thumb and fingers, especially the forefinger can be an early sign of Parkinson’s disease, this involuntary motion may come later and will continue to be a noticeable act. Parkinson's disease symptoms are assessed into 5 stages. The first 3 stages include the preceding signs and symptoms. In the last 2 stages, the patient will eventually need assistance to do normal day-to-day things that most people take for granted. Walking will be limited and eventually be impossible. Assistance is needed when doing daily tasks like bathing, dressing, and eating. Finally, patient will require someone, usually a nurse, to be present on a 24 hour basis. 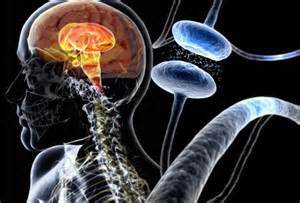 Parkinson's disease is a debilitating and progressive disease. If you believe you have early signs of Parkinson’s disease, consult with your health care professional as soon as possible. The sooner you are diagnosed, the earlier you are able to begin treatment. If you are a family member or caretaker, please have patience. Just like you may not like to meet every need of the patients, patient most likely do not like the feeling of helplessness.Please bear in mind they need your assistance, not impatience.